Willie Brenc is a 2013 graduate of the University of Washington (B.A. Political Science and History). 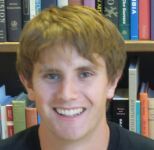 In fall 2014 he began attending Stanford Law School. As an undergraduate, Willie studied a variety of topics and conducted intensive research projects on affirmative action and United States-South Africa relations.